In my previous blog, I have shown you how to install Oracle 12c grid binary, In this blog, I will show you how to do Oracle 12c ASM installation. In case you are unable to find Oracle 12c grid binary blog Click Here. 2) Unzip the 12c grid software. 4) Format all the raw disks. 5) Add the necessary groups. 6) Create or modify the user. 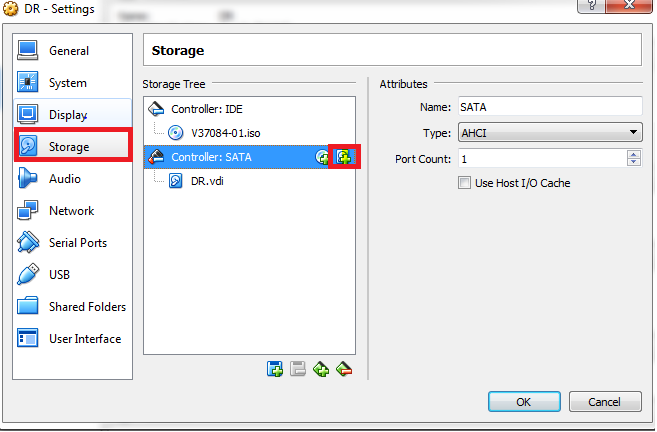 7) Configure and create all the disks. 8) Execute the runInstaller command to do the final installation. Here is the step by step installation of Oracle 12c ASM. Step 1) We need to create ASM disks to store data. Steps to create ASM disks. 1) Go to Oracle Virtual box, select the Machine Name and click on setting tab. 2) Click on storage and then click on the below tab to create the disks. 3) We can see in the below output, 6 ASM disks are now ready for use. Step 2) I have already unzip the grid software in my previous Oracle 12c grid binary blog. Step 3) Now we need to install necessary RPM's to configure the ASM. Step 4) Now need to format all the raw disks. Note: - You need to format these disk the only sdb,sdc,sdd,sde,sdf,sdh, don't touch sda because it is used for your OS level use. Building a new DOS disklabel with disk identifier 0x7dd54d7f. Note: - Do the same steps for all the remaining disks. Steps 5) I have already added necessary groups in my previous Oracle 12c grid binary blog. Step 6) I have already created a user in my previous Oracle 12c grid binary blog. Step 7) Now need to Configure and Create all the disks. I will show the last step (Execute the runInstaller command to do the final installation) in my next blog otherwise, the blog will get too lengthy. If this blog is helpful please like, comment below and let me know which topic should I create a blog.